The first major advancement in composting toilet technology in 30 years. A practical, affordable method for dealing with human waste. Absolutely no odour. Clean. Hygienic. Call toll free 1 888 361 0014. The Nature's Head is an excellent solution for up to two people, full time. Perfect for boats, RVs or cottages. The Separett is a good choice for families. It is extremely easy to empty. SOIL (Sustained Organic Integrated Livelihoods) is building urine diverting composting toilets in Haiti. They are solving a huge sanitation problem, reducing disease and producing fertilizer. Welcome to Composting Toilets Canada, a division of GreenLatrine Composting Toilets Ltd.
Modern composting toilets offer an environmentally friendly and odor-free method of dealing with human waste. There are many models available at different prices, each with advantages and disadvantages. My first experience with composting toilets goes back about 20 years. After delaying it as long as possible, I had to make a trip to the dreaded outhouse in a Washington State park. However, I immediately noticed there was absolutely no odor. This was unlike every other “outhouse” I had used – where the smell is usually unbearable. A small plaque announced it was a composting toilet – producing natural fertilizer rather than toxic sewage. “Why didn’t someone think of this before?”, I asked myself. Turns out they had. In Europe, composting toilets have been around for generations. Often called “waterless toilets”, they are installed in homes, offices and government buildings – wherever a toilet is needed. Contrary to a popular misconception, there is no unpleasant smell if installed properly. North Americans have been much slower to adopt this technology. However, fresh water is becoming a scarce resource in many areas. It seems wasteful to flush away gallons of pure drinking water every time we use a toilet. In 2005, Americans flushed away 123 billion gallons of water, according to a U.S. Geological Survey report. Conventional sewage treatment is sometimes impractical or too expensive. Septic systems have many potential problems, not the least of which is disposal of the contents in an environmentally sound manner. Composting toilets provide a viable solution in many instances. A true composting toilet produces a safe, non-toxic final product that can be placed on ornamental plants. No expensive or energy intensive treatment is required, and no toxic sludge is produced. Best of all, once the unit is installed, it costs almost nothing to operate. The exact process varies depending on the composting toilet. Generally you have a traditional looking toilet seat and bowl, which sits above a storage tank. This tank may be built-in as part of the toilet, or it could be installed below the bathroom in a basement or crawlspace. Some of the newer composting toilets separate urine from solids. This is a big step forward. The relative lack of fluids in the storage tank helps eliminate odor. Complete and rapid composting occurs easily. Further dehydration over time allows the solid material to shrink dramatically (just like a compost pile). A small self-contained composting toilet can hold a surprising number of “uses”, meaning you do not have to empty it frequently. Most of the older composting toilet designs hold the urine and solids in one tank. Water evaporates with the aid of electric heat, with the same odor free results – at least theoretically. In practice, you must be very, very careful not to introduce more liquid than the composting toilet can evaporate. Peat moss, coconut fiber, biological compost starter or other organic material is often added to the composting toilet to initiate and aid the composting process. In some toilets the solids are rotated, to speed up composting. With some simple home-made units you just cover fresh material with a layer of sawdust. Ventilation is required with all composting toilets. Commercially available composting toilets use fans to dry out the contents and prevent odor. These fans are usually very quiet – 30 db to 40 db (which is between a whisper and a refrigerator in volume). They run all the time, 24/7. The fans pull air from the bathroom area, through the toilet and out a pipe to the outside. You never smell anything, even when sitting on the open toilet, because the fan is pulling air away from you. Any odor is exhausted, and it cannot waft up into the room. When the solids bin fills up – and this can take between a few weeks and years depending on the composting toilet and how many people use it – you empty the already well-composted material into a suitable bin or container so it can “mature”. There should be little or no odor at this stage, other than a slight “earthy” smell. How long it must sit is a matter of some debate. It depends on the temperature. Below about 12 degrees Celsius or 55 degrees Fahrenheit composting will slow or stop. Many experts believe letting the compost sit for 12 weeks at room temperature should render pathogens harmless. Others recommend a more cautious 6 months. It is then safe to use the finished compost on flowers or other non-edible plants. If absolutely necessary, as a last resort, you can bag and seal the fully composted material and dispose in the trash. Composting toilets require almost no maintenance and are impossible to plug. They are hygienic, inexpensive in the long run and environmentally benign. As fresh water becomes ever more scarce we are sure to see wide spread acceptance of this technology. Please join in the discussion on my blog page! I hope you find what you are looking for on Composting Toilets Canada. 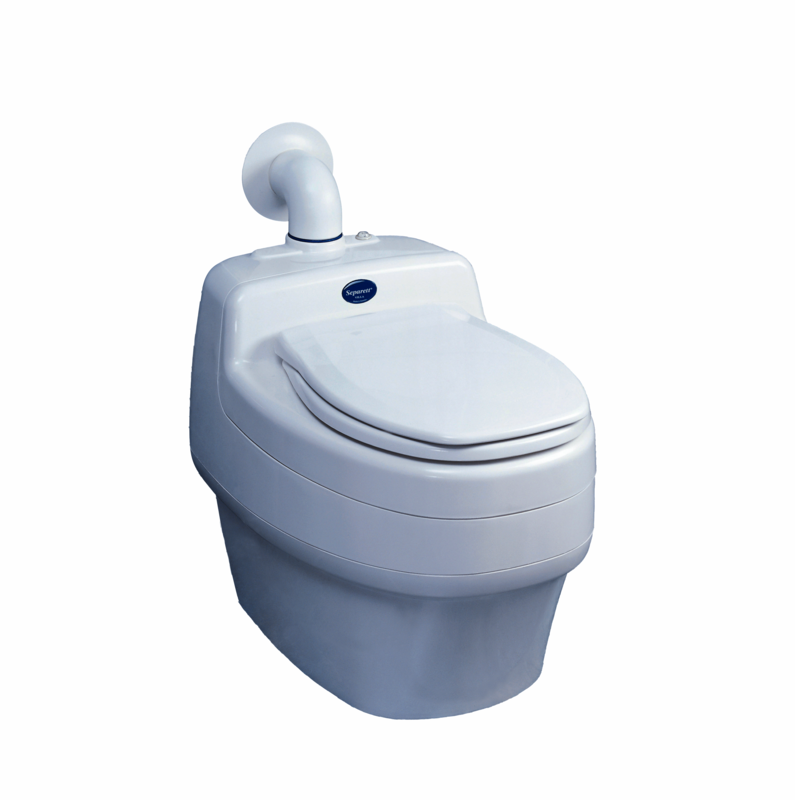 Composting Toilets Canada is a division of GreenLatrine Composting Toilets Ltd. I thought customer service like this was long gone. So many promise customer service. So few deliver. This guy walks the talk. Great toilet, btw. Our cabin had a first generation composting toilet when we bought it. I absolutely detested it. I was completely ready to spend thousands of dollars to install a septic system. Before pulling the trigger I stumbled upon the Nature's Head on the internet. Did my research, and changed my mind. Being the biggest skeptic in the world, I wasn't totally convinced until I spoke to Richard. Bought and installed the Nature's Head, and haven't looked back since. Magnificent product does exactly what it should and ABSOLUTELY NO SMELLS. Richard has always been available to answer my questions, and alleviate my concerns. Whether by phone, or email, his level of customer service is unprecedented in today's world. I couldn't be happier with the Nature's Head, or with Richard. Honestly, if you're on the fence, pull the trigger and invest in this toilet. You will not be disappointed. Richard remains there for you long after the purchase has been made. I can't thank him enough! I have had the Composting Toilet for over a year now in my 500 square foot home and am very happy with it! Richard was available for questions prior to purchase and offered to stay on the phone for the installation (that was not necessary though). This toilet has functioned as promised, no odor, easy empty. This was out of my field of knowledge so the purchase was a leap of faith. Richard’s easy access by phone or email and his clear answers helped me decide. Happy with the toilet and very grateful for Richard’s service. Thank you! Richard has always been prompt, honest and very helpful any time I have needed to contact him. He is very knowledgeable and gives practical advice that is in the highest interest of his customer to ensure the best use of the product they are buying. I've been using my Separette for almost a year now, very happy with my purchase and Richard's service. This composting toilet is super high quality, works very well and no smell! We have a Bed and Bale with two little cabins where people bring their own horse on vacation. We did not want a smelly outhouse. We power the 3 watt fan from a solar panel on one of the cabins and we bought a small tool shed to function as washroom. Installation was easy. I initially called to get more information before purchase and spoke to a very knowledgable person that could answer all my questions. I can highly recommend this product and this company. Great product, excellent service and fast shipping. Great video, all the right info and professionally produced. You make dumping an interesting topic. For me, this is so much better than reading...and you guys offer the bonus of an entertaining flair, so thanks for that..for the infotainment! How do you deal with recently deposited un-composted waste when emptying the bin? It just goes into a sealed but ventilated compost bin located outside, with the rest of the material. You can add lime if you want, to speed up the process. It should be ready for non-edible plants in 120 days (with lime added, 6 months at summer temperatures without). We were very happy with Richard’s competence and promptness in dealing with our order. The web site is very informative and Richard is knowledgeable and helpful in making product decisions. We were grateful to deal with a human! Thanks. Is there any health regulations or compliance issues that need to be followed to pass Ontario government standards? If you are building a new home then yes. Typically you will have to seek special permission and meet their requirements for waste management. It is not an automatic approval, and can be frustrating because their code book is 20 years out of date on this issue. If you are not building new then usually you do not need a permit. Still, you must be very careful to follow all instructions on managing your waste. We have a cabin on an island in a relatively remote area. We come and go throughout the seasons. I am wondering how a composting toilet could function when there is no heat and electricity for months, then for about two weeks during the winter, there would be continuous usage. Also during the warmer months, how does it function with only occasional use, and by that I mean two weeks of use, two weeks of inactivity… When we leave the cottage, we always turn the power off. Comments? That will be no problem at all. These toilets are perfect for what you describe. Heat is not needed. Occasional use is also fine. You can turn the power off. If the power is off and the toilet has not been emptied, you may or may not return to a slight odor in the bathroom. This will quickly disappear when you turn the fan back on. 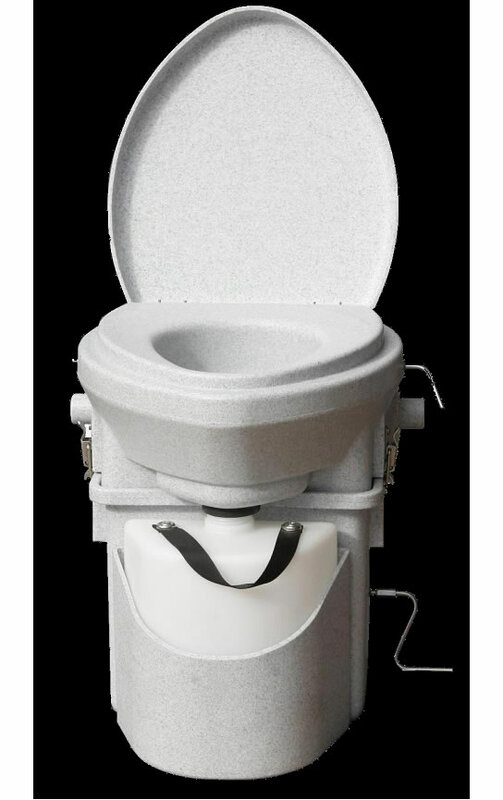 Please call me toll free if you are interested in purchasing a composting toilet and have questions - 1 888 361 0014. I answer my own phone. No "we are experiencing higher than normal call volumes...". No recorded menu listing endless options you don't need. Just a real person picking up the phone. If I'm not available, I will personally return your call asap.